Hog Roasting is a fantastic tradition that has been developed over the years to become what is now one of the most popular catering experiences around. It has got to be a combination of unique elements and our special recipes that make this one of the most loved and most delicious catering options for your next event! A Hog Roast is the center piece to any party and guaranteed to please all of your guests. Hog Roast Scotland – our fair nation’s finest provider of hog and spit roast events. We have been working on events up and down Scotland now for the past eight years from the ‘Scottish Borders’ right up to the Shetlands Isles. Here at hog roast Scotland we have an extensive array of menus from the old stalwart hog roast pork in a roll with apple sauce and stuffing to full dining with canapés and champagne receptions included. We are Scotland’s finest hog roast company and work all year round from our head office in Dumfries attending some of the most unique and exciting events Scotland has to offer. So why chose hog roast Glasgow amongst the many other hog roast firms available in Scotland. Well, firstly because of our track record for the past eight years we have worked all year round all over the country and have built up a vast amount of experience and links with large event planners and large companies. We now employ five different teams all trained experts in the art of hog roast Glasgow that successfully complete hundreds of events each year. Secondly here at hog roast Dumfries it is our attention to detail and meticulous planning that sets us apart. We only use the finest freshest ingredients and all of our cooking is done on site. So why don’t you get in touch with us today our office staff are waiting to help you and we can normally have a personalised quote back with you within a few hours. Here at Hog Roast Scotland we are passionate about being able to supply delicious food to the wonderful people of Scotland, no matter what the occasion may be. Whether you are throwing a party in Fort William or hosting a wedding celebration in Aberdeen, we could be the caterers for you. We operate in 17 areas across Scotland, including the countries capital of Edinburgh, the much loved towns of St Andrew’s and Dundee and not forgetting the beautiful West highland coast. We are firm believers here at Hog Roast Scotland that a delicious feast of slow roasted meats is truly one of the most versatile culinary choices to have at your event. By choosing one of our fantastic spit roasted menus you will be able to cater for your special guests at your Scotland based event with memorable food and a reasonable price. Our spit roasts are available at competitive rates and we are sure we have something suitable for you! I feel that one of the most wonderful aspects of choosing Hog Roast Scotland for your local event is the ability to recreate that little bit of Scottish tradition for your guests. Recreate the fantastic banquets once held at the spectacular Edinburgh Castle at your very own occasion! The world of hog roasting as never been more popular and we now find ourselves busier than ever, so what is it that draws so many people to want to book a hog roast and why should you choose hog roast Scotland? Well a hog roast firstly is a fantastic way to feed large amounts of guests, unlike other caterers we here at hog roast Edinburgh can quote for any number of guests and you’ll be surprised at how competitive our prices are. More and more people are discovering just how affordable it is to feed a large amount of people without sacrificing the quality of the catering. Secondly it’s the taste, there’s nothing besting than freshly roasted meat cooked on site before your eyes. A spit roasted meal truly emphasises the traditional aspect of great Scottish cuisine yet it is done in a unique and excited way on state of the art equipment that produces perfect results every time. Finally a Edinburgh hog roast or Glasgow spit roast adds a new dimension for your event it transforms the catering into something new and something to talk about. Having a spit roast add some theatre to the day, the guest can watch the meant slowly roasting and the hog roast machine can be presented as a centrepiece for the event which only adds to the excitement. Hog Roast Scotland has been serving up the finest spit roasts for the Scottish people for going on a decade now and the skills, knowledge and excellence we built our name on is as prevalent today as it’s ever been. We’re armed with some of the finest hog roast machines known to Scotland and with the help of our trusted staff our catering service will help make your event the one that everybody is talking about, and for all the right reasons. The company was started 9 years ago as an answer to the complete lack of quality hog roasters operating in Scotland – We’re one of the few if not the only reputable, high quality hog roasters within Scotland. A hog roast is great for all occasions and our catering service is available for all events, no matter the size or type of event. You could be hosting a musical festival with thousands of attendees or a small birthday party with a guest list of 15, for a hog roast in Edinburgh, a hog roast in Dumfries or a hog roast in Glasgow, it makes no difference to us. The hog roast catering that we provide is the best in the business and the spit roasting technique that we employ keeps the meat full of flavour and packed full of juices. We have a number of great menu options that are suitable for every occasion and we can even create you a menu from scratch if you’re not happy with the menu options we have on offer. One of the many selling points of our service is the professionalism in which we conduct ourselves. Presentation is hugely important and that goes beyond how we put food on plates. Hog Roast Glasgow and employs nothing short of excellence, from our sales team to our chefs. We place huge importance on the little things and while I love hog roasting we’ve always approached Hog Roast Dumfries as a business rather than a hobby. It’s the reason why we’re up there with the best caterers when it comes to popularity. We employ an expert sales team and many highly regarded spit roast chefs who’ve helped to take Hog Roast Edinburgh to the next level. Being the best hog roasters in the country isn’t good enough for us, because being the best is no good when you’re the only person who knows it. The emphasis we place on having a strong sales team, a strong manufacturing team and marketing should tell you all you need to know. We excel in all that we do and are miles ahead of the competition in every regard. It’s not just the catering service of ours that receives rave reviews, our machine hire and sales are highly regarded within the industry. We’re one of few hog roast machine manufacturers in Scotland and the models that we’ve designed and are created lead the market. Every time we create a new machine we set the standards, continually leaving our competition behind, and in many cases coming to us for our expertly crafted behemoth spit roast machines. The machines that we have as well as being outdoor compatible are also great for indoor use as they’re gas powered. We also have a range of attachments available so that you can spit roast chicken, lamb etc as opposed to just pork. When you hire from us you know you’re getting the best spit roast machines on the market and are dealing with a tried and tested company of high repute. We also believe that there’s room at the table for everyone and rather than aiming to rid Scotland of competition we instead hope to help fellow caterers, hog roasters and others. We’re always eager to lend our expertise and knowledge to our catering brethren and can provide business consultations to share some of our success and hopefully improve your standing in the industry. If you’re ready to make a booking or require more information on the services that we provide, our phone line is open from 9am to 5pm, on Monday to Friday. Our website is always available, 24/7, and we aim to respond to email enquiries within a 24 hour time frame. We also have an enquiries page which you can use to complete an event query form so that we can get back to you with a quote for your event. Hog Roast Scotland is a spit roast specialist company who cater for every event imaginable from a village fair to a large corporate event anywhere in the Scotland. We prepare and roast your hog roast in our specialised hog roast machine which slowly roasts gathering generous amounts of flavour, so your first taste is simply mouth watering. A succulent hog roast can be enjoyed on any occasion, whether it is to celebrate a wedding, the highland games or a festival it is the perfect accompaniment to a delicious nutritious meal. We pride ourselves in supplying a tailor made package to suit your individual needs, size of the event and occasion. Have you ever considered hiring a hog roast machine for the day? Hog roast machine hire from Hog Roast Dundee for your party or event couldn’t be any easier; we have a world of experience and a track record of thousands of clients who have used our Glasgow hog roast machine hire. They all come to us for their machines for one reason – Our machines are the best in Scotland. We have clients from Edinburgh to Glasgow and they all come to us for the same reason, there is no other company that can provide the standard of hog roast machines we have at such affordable prices. We’ve been building machines for almost as long as we’ve been catering and like our catering the machines we create are the highest quality. Myself and several spit roast experts work tirelessly year on year to design and build machines that are as aesthetically pleasing and powerful as they are practical. It’s no easy task, but with plenty of hard work and an intricate understanding of what makes a good Perth hog roast machine, we manage it. It helps that we cater for thousands of customers each year, giving us a platform most other machine manufacturers do not have. We know what works because we’re hog roasting for hundreds, often thousands of people, day after day. Hog roasting always goes down a treat at parties and our machine hire service is a perfect second option if you don’t have the money for our catering service. Starting at very reasonable rates for an event or a month’s hire, and including a free bottle of gas to power the machine, hog roasting at your party could be a reality. Having a hog roast makes a real change from the typical party food that plagues Scottish party food and at these prices there’s no excuse for feeding bread sticks and party-sausages on a stick. With only one of our Glasgow hog roast machines you can feed 100’s of people with ease, spit roasting couldn’t be easier and requires very little attention, allowing you to leave the machine to its own devices while you mingle with your friends and enjoy yourself. The machines that you can hire are also available with a fresh pig on request, to save you the hassle of finding and buying your own. Just a cooked pig isn’t always varied enough for large parties though and that’s where our special machine attachments come into play – The machines are available with attachments that give you the freedom to spit roast other meats such as chicken, lamb and beef or even barbecue burgers, sausages, kebabs and plenty more. It’s one of the added benefits to hiring a machine; you aren’t tied down to a menu and can cook any combination of foods that you like. At the moment we have 3 different models that are available for hire; all 3 machines cook food perfectly but differ in size and capability. We have a smaller machine that’s perfect for small birthday parties or barbecues, with the larger machines being ideal for larger events, the larger, more commercial of our machines works wonders when used with a catering service. Having a machine in your restaurant or pub can really give you a leg-up over your competition, once the word gets out that your establishment does hog roasting you’ll see a marked improvement in customers coming through the doors, and a spit roast machine can do wonders for your profit margin. Not only can our machines cook food for hundreds of people, they’re also so simple to use that your chef won’t even need to pay it much mind. If you struggle to deal with the number of customers you have then a hog roast machine can go a long way to alleviating the pressure, and its’ also much more profitable than traditional cooking methods. All the machines that Dumfries Hog Roast provides have their relevant certifications and pass every test with flying colours. We can be contacted by telephone or Email if you’re interested in hiring a machine. We also sell our machines if you’re looking to buy a machine outright. Whatever your reasons for calling our sales team always look forward to hearing from you. Let Hog Roast Scotland cater for you on your big day! Here at Hog Roast Scotland we like to think that we’re a special company that offers something special, we also know that marriage is for many people their most important and happy day, a special day. So what better caterers for your special day than Hog Roast Dundee? Hog roasting is usually reserved for special occasions and there’s none better than Hog Roast Scotland to compliment your wedding with our extravagant and superb catering service. We’ve catered for hundreds of weddings, some big, some small, and we know that the only constant is the need for great food and service that comes without hitch. We’re renowned for a superb, high quality service and we’ve yet to disappoint, it’s why so many customers keep coming back for more. There’s nothing quite as grand as spit roast machines loaded up and slowly cooking away as a backdrop to any event. Before even tasting the food most clients are over the moon with our service and by the time we’re serving up our great tasting food it’s simply an added bonus to the theatre and occasion we provide while preparing and cooking. We have many menus that we’ve designed specifically for Weddings, so you’re never sort of choice when you use Hog Roast Perth. We’ve served sandwiches at a hog roast in Kilmarnock, sit-down 4 course meals in Perth and evening buffets a hog roast in Dundee. We go well beyond set-menus though; we’re so committed to making your fairytale day perfect for you that we’ll even create a new custom menu that’s tailored just for you. Regardless of the menu you decide on we’re able to cater for 10 people or 10 thousand. Hog Roast Scotland employs only the best chefs and waiters so you never need worry about the catering; we’ve been catering for 9 years and never had a hiccup yet. 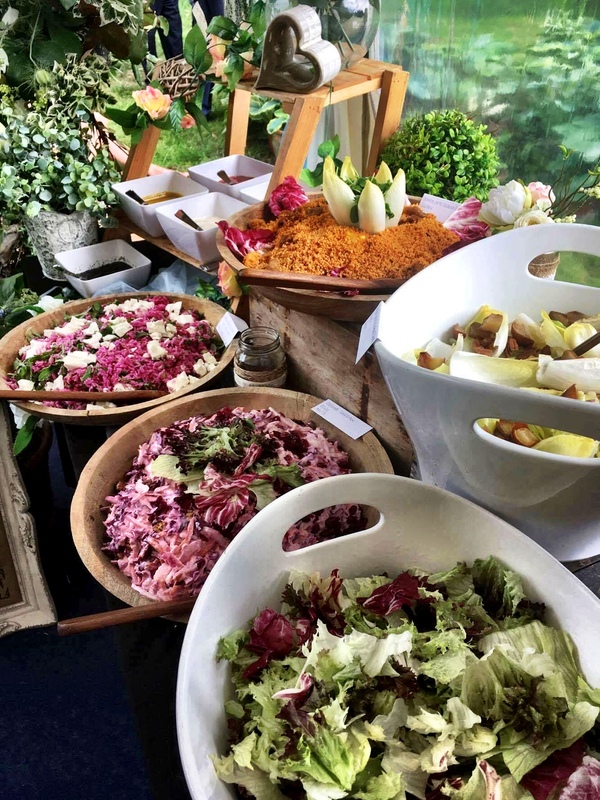 One of the worst things with weddings or any important events is the worry and stress that something might not go right, but when you put the catering in our hands you needn’t worry at all. When it comes to organising events we’re experts and you can sleep easy knowing that one of Scotland’s best loved catering companies is at the helm. As soon as you reach out to us we’ll be around to help you every step of the way, whether that’s helping you select a venue for the big day, finding a reputable marquee company, or making last minute alterations to the menu because your friend Dave is a vegetarian. The friendly and helpful service we provide runs the great tasting food we create a close second. Our human touch has served us well and it’s the reason why you can’t find a customer of ours with a bad word to say. Email or Phone us today to learn more of our famous wedding catering. Enjoyed our hog roasting, why not buy a machine? One of the lesser known services that we offer is the sale of machines. If you’ve used our catering or hire service you already know that spit roasting is the best thing since sliced bread, but did you know that you could buy one of our machines outright? That’s right; the best hog roast machines in Scotland are now available for sale to Joe public. Catering companies and restaurants have long known that Hog Roast Scotland have the best machines on the market and we’ve been selling our competition and up-and-coming hog roasters our machine for as long as we’ve existed, but now anyone can buy one of our elite machines. If yours is the garden your neighbours flock to when barbecue season arrives then a hog roast machine is a must have for summer. What’s great about our custom built machines is that not only do they spit roast but there’s also an in built barbecue. The machines we have are extremely powerful and are more than capable of feeding 300 plus people. If there’s a more impressive sight than a large hog closing in on the 100kg mark, slowly cooking on one of our beautifully crafted, stainless steel encased machines, I’ve yet to see it. Spit roasting is the king of outdoor cooking, providing you with the tastiest, juiciest and most tender meats known to man. You only need 1 machine to simultaneously spit roast chickens or pigs while barbecuing burgers and kebabs or boiling pasta or rice. There’s no need to keep running in and out of the house checking on the side dishes in the kitchen with a Hog Roast Scotland machine giving you the best of both worlds. Our machines are light weight and very mobile for easy storage, or even indoor use if you have a room that’s large enough and with proper ventilation. All of our machines have industry certification and are as easy to operate as a traditional household oven. If you would like to know more about buying a machine we’re on hand from 9-5 on weekdays, or if you haven’t sampled our machines yet why not head over to our machine hire page and considering trying a machine before you buy. We have a variety of hog roast machines and menus to suit your individual needs and most importantly your budget. Our hog roast machines are completely mobile and we are therefore able to come directly to you. If you are in need of a hog roast machine to hire or to buy then Hogroastscotland is the ideal choice, with a reputation for a tremendous toothsome meal and first class service.